Think you need a desktop, laptop, and tablet to excel at the tasks you complete in the office, in-vehicle, and in the field? You don't...anymore. You just need the highly mobile, extremely flexible and always resilient Xplore XSLATE® R12 tablet PC. The transformational 2 in 1 device gives you all the high performance capabilities and complete computing functions you need in a single platform. You'll have the right connectivity and ergonomics for a quick transition from the field to a full desktop computing experience – and the most conveniently stored Companion Keyboard on the market. It's fast to deploy when you want a notebook, and even easier to store when you don't. 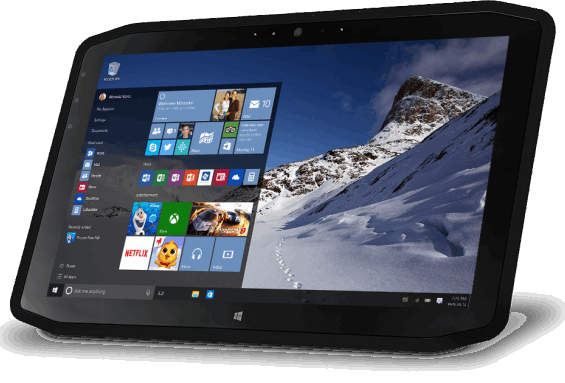 This makes the XSLATE R12 much more evolved than traditional detachable tablets, improving upon its own award-winning R12-series predecessor. Impress your workers with more power, more personalized data interactions, and more individual control over PC form factor and settings from Xplore, The Rugged Tablet Authority.™ See why this is the only rugged mobile computer that's just the "right size" for all of your workers and all of the places they work.